KTN's Swahili news presenter Ahmed "Daru" Darwesh has passed away. 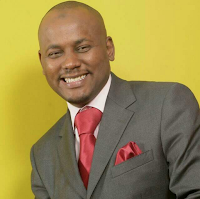 Ahmed who was well last Sunday and even did the 7pm news, died at the Mater Hospital on Monday after he succumbed to diabetes that had earlier on in the day immobilized him at his South C home. His conditioned worsened and was rushed to hospital where he was later pronounced dead. Media personalities took to social media to pass their message of condolences to the family of Dharuwesh whom most of them had worked alongside with. Al Marhum Ahmed Darwesh will be buried today in Mombasa after Asr prayers at Kikowani cemetery.